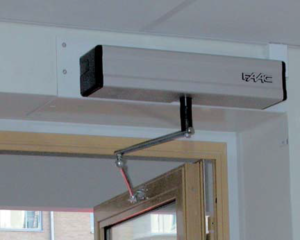 Top Security Locksmiths provides ADA Automatic Door operators for all types of applications, Assisted Living facility, Condominium’s, Retail, Small Office, Restaurants & Hospitality. 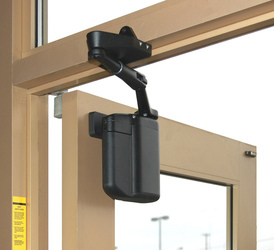 Automatic door operators are no longer just for ADA use, many condominium associations are installing the ADA AUTOMATIC DOOR OPERATORS with CARD ACCESS for added security and convenience to the home owner while entering the building with shopping bags or large items. No more fumbling with keys while juggling grocery bags! No more door damage caused by banging the cart into the door while the resident is trying to hold the door open at the same time they are trying to push the shopping cart in the door! Top Security Locksmiths, sell FAAC, LCN, Norton and Detex Automatic Door Operators. Call us today, to setup one of our service technicians to give you a FREE estimate. Top Security Locksmiths, Inc. has been servicing New Jersey for nearly 30 years, and is family owned by the Rible's. Top Security Locksmiths, Inc. has two conveniently located storefronts in Wall, NJ and Point Pleasant, NJ and 7 fully equipped service vehicles. We offer 24 hour emergency service, 365 days a year by our New Jersey state licensed locksmith, burglar alarm and fire alarm trained professionals. Top Security Locksmith, Inc. services all of New Jersey including Monmouth & Ocean County and is the local expert of residential & commercial locksmith services, security systems & alarm systems, automotive transponders & remotes, safe sales & service and CCTV.